Family members of all ages will enjoy a Disney cruise vacation to the Caribbean. It simply works for the entire family! Think of the magic, fantasy and excitement of Disney World and then try to fit that on a big boat sailing the Caribbean Sea. What do you get? Fun! Fun! Fun! Disney Cruise Line has four ships offering Caribbean cruises: Disney Dream, Disney Fantasy, Disney Magic and Disney Wonder. 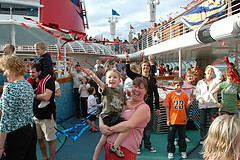 All Disney ships are packed with exciting activities and adventures for all. The Disney Dream and the Disney Fantasy are the largest Disney ships and therefore pack a bigger punch than say the Disney Magic. For example: the Dream has 1,900 more beds than the Magic, is two (2) decks taller and is about 40% larger. 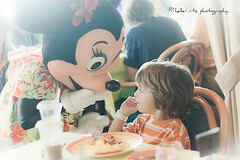 However, whichever ship you choose, your family will have a memorable inclusive Disney Caribbean cruise. Note: All four ships do not offer year-round cruises to the Caribbean, so you must check for availability. 1. Elegantly decorated staterooms/cabins, even with split bathrooms - perfect for families. 2. Multiple kids clubs and activity centers for kids of all ages - rich with an abundance of interactive programs. 3. Dining options include adults-only, gourmet, made-to-order, casual quick-service and themed restaurants. 4. In the entertainment arena, expect to find live musical shows, first-run films, digital 3-D movies, and, exciting family deck parties. 5. Relax at the pools. There is one for kids, one for families and one for adults-only. 6. For those looking for night-life action, there is an adult-only entertainment area, multiple lounges and nightclubs, live music, dancing and socializing. How Much Does a Disney Caribbean Cruise Cost? As noted above, Disney cruises are packed with so much goodies that the price tends to be high. When compared to other Caribbean cruise lines - Carnival, Norwegian, Princess or Royal Caribbean - Disney is the most expensive. When planning a Disney cruise, consider saving over time for your trip and booking your sailing months, or even a year in advance. Consider this, whereas a 4 day Bahamas cruise in June will cost about $400-$500 on any other Caribbean cruise line, expect to pay $800 plus per person on a Disney cruise vacation. Disney cruise sailings to the Bahamas or the Caribbean originate from Port Canaveral, Florida; Miami, Florida; or Galveston, Texas. Most Disney cruises sail from Port Canaveral, a port about fifty (50) miles east of Kissimmee, the home of Walt Disney World. If you are wondering how to get to Port Canaveral for your Disney family cruise vacation, you would fly into the Orlando International Airport (MCO) or the Melbourne International Airport (MLB). From any of the airports, you may travel by taxi or shared shuttle to Port Canaveral. For a list of taxi or shuttle services that provide service from one of the major airports - Orlando International Airport, Melbourne International Airport or Orlando Sanford International Airport - to Port Canaveral, you may search on Google or Bing. Note: For those who choose to, you are offered the option of booking your Disney cruise vacation together with your flight. When you do, airport transfer is usually included. However, it may save you some money if you book all three separately. Compare the prices before you book! Your family's Disney cruise vacation to the Caribbean will include a stop at Castaway Cay. On some Disney cruise sailings, this is the only stop. Castaway Cay is Disney Cruise Line's private Bahamas island resort and is in itself a place of magic and wonder. Castaway Cay is owned by The Walt Disney Company, which allows great flexibility in how the island is operated. This is Disney's own island paradise with a "castaway" theme. Try to picture what your surrounding looks like after you've been shipwrecked and you erect some buildings for survival. 9. Of course food - lots of food. While the island offers shops where purchases can be made with your stateroom key, food is provided as part of your cruise package. Do you think that there is enough to do on Disney's Castaway Cay? I think so. When is the best time to book a Disney Caribbean cruise vacation? While Disney cruises are generally expensive, you can expect to pay less on Disney cruise sailings from September to early November. Like all other Caribbean cruise lines, this time marks the height of the Atlantic Hurricane Season. 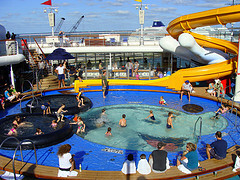 Plus, the children are in school, so cruise ship vacation demand falls. Consequently, Caribbean cruise prices are the lowest at this time of year. I picked a 3 Day Bahamas Disney cruise sailing aboard the Disney Dream to make my point. If you booked a sailing for June, the cruise ticket price begins at $832/person (before taxes) for a regular inside cabin. If you booked the same cabin for a September or October sailing, the prices start at $487/person (before taxes). The price difference is the same for oceanview cabins, balcony cabins and suites. Please note that the cheaper cabins - inside and ocean view - go quickly. 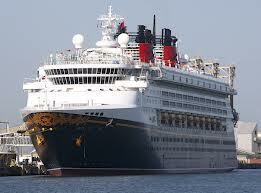 Therefore, you must book early if you are planning a Disney cruise vacation. As you noticed, the prices during the hurricane season are great. The only problem is that your children are in school! What good does that do? However, in the rare event that your children have a week off from school in September or October - some school districts are closed - you can book your cruise for then. Or, your children may be grown and therefore you can go whenever. 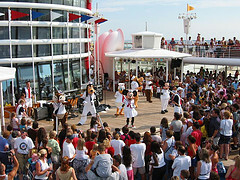 If you are planning some other group Disney cruise vacation - family reunion, church trip, club outing, etc. - fall is the best time to sail with Disney Cruise Line. 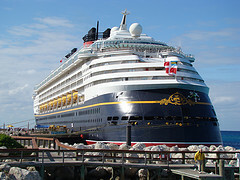 Disney offers cruises of varying length to The Bahamas and the Caribbean? You can expect to find the greatest availability of cruises from Port Canaveral and Miami. You will generally find shorter cruises - 3-day, 4-day, or 5-day cruises aboard Carnival Dream, Magic or Wonder from Port Canaveral or Miami. For longer cruises, 7-day sailings, you will generally find sailings with Disney Fantasy and Disney Magic from Port Canaveral and Miami. Note: A limited number of cruise itineraries are offered from Galveston, Texas. 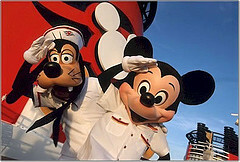 Generally, you can find a Disney cruise sailing to The Bahamas or Western Caribbean for any month of the year. However, due to the popularity of all inclusive Disney Caribbean cruises, the cabins fill up fast. I know how much of a strain a family vacation can be on your pocket, so plan way ahead and book way ahead. I hope that you have found the information helpful. Are you ready for your Disney-at-sea experience? When you return, please come back here and submit a Disney cruise review.